10 Q&A with dir. Kang Hyung-Chul & cast of "Sunny"
New high-school transfer student Na-Mi (Shim Eun-Kyung) comes from a small town in Jeolla Province to her new school in the capital city of Seoul. When she is nervous, her small town dialect comes out & she starts to shake.On her first day at her new school she is bullied by others. Coming to her help is a group of girls. The girls are Chun-Hwa (Kang So-Ra) - known for her strong sense of loyalty & excellant fighting skills, heavyset Jang-Mi (Kim Min-Young) - who badly wishes to have plastic surgery to get double eye-lids, Jin-Hee (Park Jin-Joo) - excellent when it comes to spewing profanity, Geum-Ok (Nam Bo-Ra) - interested in literature, Bok-Hee (Kim Bo-Mi) - dreams of one day becoming Ms. Korea and Su-Ji (Min Hyo-Rin) - always arrogant. Na-Mi quickly becomes part of their group. When the group confronts rival girls known as Sonyeo Sidae ("Girls Generation"), Na-Mi spews curse words she picked up from her grandmother. Because of Na-Mi the girls are able to avoid a crisis. These seven girls then form their own group named "Sunny". They also vow to stay together forever. The girls then prepare for a performance at an upcoming school festival, but on the day of their performance a terrible event occurs leading the girls to eventually going their own separate ways. Filming began September 12, 2010 and finished December 21, 2010. During its May 6-8 opening weekend, "Sunny" opened #1 selling 279,846 tickets. Movie went on to sell 7.3 million tickets and ranked #11 for all-time ticket sales of Korean films when its theatrical run finished. On July 28, 2011 a Director's Cut version of "Sunny" will be released theatrically in South Korea. The director's cut version contains 10 minutes of extra footage that was removed from the original theatrical version to obtain a general audience movie rating. A large portion of the added 10 minutes contains violence or profanity. Q&A with dir. Kang Hyung-Chul & cast of "Sunny"
Q&A for "Sunny" took place after a screening of the movie at the 2011 Busan International Film Festival on October 7, 2011. Appearing as speakers are (listed in order of picture above) director Kang Hyung-Chul and actresses Kang So-Ra, Jin Hee-Kyung, Yoo Ho-Jeong, Park Jin-Joo, Min Hyo-Rin, Kim Min-Young. AsianWiki editor Ki Mun was there and transcribed/translated the session. Kang Hyung-Chul (director) - Hello, I am the director of "Sunny," Kang Hyung-Chul. Lately, whenever I appeared on stage to say hello, I kept mentioning that this would be my last appearance to say hi for this film, but I have kept going. I would like to thank the audience for coming to my movie. Kang So-Ra - Hi, I'm Kang So-Ra who played teenage Chun-Hwa. I thought I wouldn't say hi anymore for this movie, but I am glad that it is playing again and I have the opportunity to say hi again. 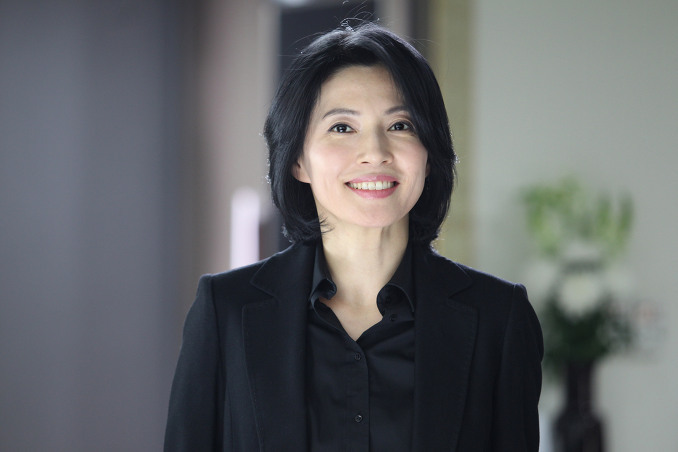 Jin Hee-Kyung - Hi, I'm Jin Hee-Kyung who played adult Chun-Hwa. Before I married, during my more popular days, I came to the Busan International Film Festival a lot. I have acted in films for a long time. I am so happy to see you again in Busan. I will continue to work hard as an actress. 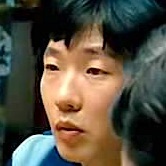 Yoo Ho-Jeong - Hi, I'm Yoo Ho-Jeong who played adult Na-Mi. This is my first time being invited to the Busan International Film Festival. I am so honored and happy. Thank you for your love. 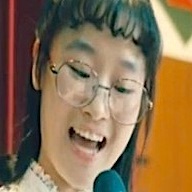 Park Jin-Joo - Hi, I'm Park Jin-Joo who played foul-mouthed Jin-Hee. The first time I came to Busan was for a musical performance. I liked Busan so much I came back here alone. This is my third time. I came here for the Busan International Film Festival. Whenever I come to Busan I feel like I am in paradise. Thanks for coming here. Min Hyo-Rin - Hi, I'm Min Hyo-Rin who played Su-Ji. Thanks for the love given to "Sunny" and please don't forget "Sunny." Thank you. Kim Min-Young - Hi, I'm Kim Min-Young who played double-eyelid Jang-Mi. Thank you. Moderator - Combining ticket sales for your first film "Scandal Makers" and your second movie "Sunny," more than 15,000,000 people have watched your movies. You must be thrilled by this. How does it feel to become one of the highest grossing directors in South Korea? Kang Hyung-Chul (director) - I'm happy people like my work. It's not about the box office figures. When I make a movie, I believe people will like my work. I'm happy that my belief has been validated. Audience Question - Young Na-Mi is nervous and clumsy, but grownup Na-Mi is confident and a leader. I would like to know how that change occured? Kang Hyung-Chul (director) - What I wanted to convey the most in the movie is that life is filled with irony. At the same time, I wanted to tell the story of a person that grows up. In the past, young Nam-Mi was clumsy, but in her new environment she meets good friends and adapts to her new setting. Adult Na-Mi is passive at first, but by meeting her old friends from 15 years ago and recalling her past she grows up. Yoo Ho-Jeong - I tried to follow Kang Hyung-Chul's direction. I don't know whether I did good or not. There is a gap between Na-Mi's character as a teen and an adult. I did wonder about that gap as well. I worried a bit on how to portray Na-Mi also. Kang Hyung-Chul advised that people grow by going through a lot of changes. Na-Mi's basic character doesn't change, she wants to be a perfect housewife, but some scenes shows Na-Mi being not so perfect ... like handing her daughter the bra instead of her socks. Her life is focused on only her daughter and husband. Through meeting her old friends again Na-Mi is able to find herself ... the real Na-Mi. I was focused on that part when I acted. Audience Question - You use a lot of 80's and 90's music in your past two films. Also, the music played prominent parts in each of those films. Is there a reason why you use such music as material for your films? Kang Hyung-Chul (director) - "Scandal Makers" is about three generations of a family. I wanted to tie them together with musical talent. Nam Hyeon-Su is a former singer, his daughter is a talented vocalist and his grandson is talented with music as well. To tie the family's solidarity with music I used music a lot. There are various cultural icons to represent the 1980's. I chose music. If a movie explains details too much the audience gets bored. With music, even if it's just a short soundclip, the audience recognizes it and thinks of certain things. Music is useful for films in that way. Audience Question - You are young and handsome. I'm surprised you were able to tell a woman's story so well. A story of a mother's past and using lots of music from that era. Did you try to go back to that time by listening to music all the time? Kang Hyung-Chul (director) - I like listening to music. Before I made my first film I didn't really do anything, so I listened to music a lot. The backdrop for "Sunny" was a time when I attended elementary school. I think at the age music and pop culture stands out. It's memorable for me. Audience Question - I couldn't understand how Chun-Hwa and Na-Mi first met in the hospital. In that scene, she sees just the back of her friend and listens to a song. How was she able to recognize her old friend? Kang Hyung-Chul (director) - Na-Mi walks into the hospital room and looks around. Chun-Hwa looks at Na-Mi from somewhere and recognizes her. The familiar phrase "you have not changed yet" comes out. She's then called out by her full name "Lim Na-Mi" while others at the hospital calls her "Ye-Bin's mom". Then their old schooldays theme song is sung. Audience Question - I watched "Sunny" and the longer, director's cut of "Sunny." The regular theater version of "Sunny" seems to tell the story in one big flow without explaining details. The director's cut of "Sunny" shows other people's emotions more. Did you plan to have a director's cut initially? Kang Hyung-Chul (director) - Before the director's cut of "Sunny," there was another version with less explanation, but that received a restricted rating (teens could not watch the film). Through meetings and re-edits the movie then received a "PG-15" rating (anyone over 15 years of age could watch) and that was the version released in theaters originally. The director's cut version contains almost every scene in the original screenplay I wrote. Only one scene did not make the director's cut, due to poor quality. The director's cut version is for the fans of "Sunny" and my own desire to show everything I intended from the original screenplay. Kang So-Ra - No difficulties at all. During the filming we had a lot of fun. We didn't have our memories to rely on so everything felt new to us. Park Jin-Joo - The director told us to have fun, so we did. We were fascinated with the 1980's music. When I went to the filming set I was excited and happy. Min Hyo-Rin - While shooting the movie I missed my friends, because I had experiences similar to the seven princess group at school. Kim Min-Young - Yes we did. Audience Question - This question is for Park Jin-Joo who played foul-mouthed Jin-Hee and also the movie director. Didn't you have difficulty in swearing so much? Moderator - I would also like to know how you collected so many curse words. Kang Hyung-Chul (director) - Actually, I'm pretty good at swearing. I wrote it pleasantly and easily. Actress Park Jin-Joo actually couldn't swear that well. I believed in her and thought she could express those phrases. As you guys saw, she ended up doing a good job. Park Jin-Joo - When I got the script I didn't realize there were that many swear words. At first I thought it was joke, but as I read through the script I found more and more curse words. When I first tried to say those lines I didn't think I sounded natural. I ended up calling my friends who lived in other regions of Korea. I asked them to say those curse words. From their mouths those words sounded a lot more scary. Audience Question - This question is for Kang So-Ra who played teen Chun-Hwa. The movie has quite a few violent scenes. You seemed to kick and punch well. Did you like doing that? Kang So-Ra - I like watching that stuff in movies, but I've never tried that before. During filming I got tired, but I relived my stress by doing a lot of those scenes. Audience Question - I will turn 60-years-old next year. It was fun to watch the movie, thinking back to earlier days. Recently, I have heard teachers are scared by teens the most. While watching "Sunny," it also reminded me of the Korean movie "Friend." During those days loyalty comes first for teen gangs. I wonder why you would glorify that kind of world? Kang Hyung-Chul (director) - I think the phrase "it was not a study but a bad circle" by Jang-Mi is sometimes misunderstood. Sunny members were different from the bad circles. Sunny members didn't do bad things. They just hanged around and played, but I think the series of incidents involving the girls from another school were part of their growing pains. I don't agree that the movie is violent and I didn't intend to make such a film. Audience Question - Chun-Hwa read a martial arts novel during class. I've also read that Kang So-Ra likes to read martial arts novel in real life. I'm curious if it was a coincidence or was that scene added after the casting of Kang So-Ra? Also, how close is Kang So-Ra to the character of Chun-Hwa? Kang So-Ra - When I auditioned for the role I mentioned that I liked to read martial arts novels. Kang Hyung-Chul already had that idea for the character of Choon-Hwa. During filming, I became like 90% of the character Chun-Hwa. Nowadays, I think we're like 20% similar. Kang So-Ra - I'm so honored to have gotten help from Jin Hee-Kyung. She focused on my side. Thanks to the adult Chun-Hwa, the teen Chun-Hwa became a great character. Jin Hee-Kyung - Thanks to Kang So-Ra, the character Chun-Hwa turned out even better. We also resemble each other. Before the movie, I had long hair and as I was cast for the movie I told the director that I would have my haircut. The director liked that a lot. Also, Kang So-Ra had her hair cut. Those details helps out a lot. Kang So-Ra began filming her scenes first. So I referred to her acting in the beginning. She did a great job. Yoo Ho-Jeong - In terms of looks the director told me I resembled Shim Eun-Kyung. One day, he called me and said I didn't realize it at first, but you and Shim Eun-Kyung look alike. I think Shim Eun-Kyung might not be too happy to hear that. Na-Mi's character resembles the teen Na-Mi, but Na-Mi's character shows different qualities compared to the other characters. We tried to work together. I think the younger actresses prepared a lot and did their best and because of that our characters became more vivid. Jin Hee-Kyung- When we met for the first time we immediately knew who would act for which parts. We also had a feeling the movie would turn out good too. Park Jin-Joo - I heard actress Hong Jin-Hee was cast for the adult version before I was cast for the teen version. When I saw Hong Jin-Hee I thought my forehead and cheekbones resembled hers. I also wanted to emulate her attitude on living life happily. Min Hyo-Rin - I think compared to the other characters, the teen and adult versions of Su-Ji don't resemble each other as much. 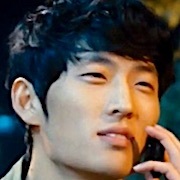 Model Yoon Jung appears in only one scene as the adult Su-Ji. It's too bad I didn't have the chance to talk with her more. She is so beautiful. 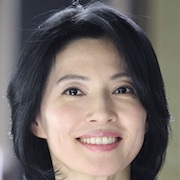 Kim Min-Young - I am so happy to work with the director and actresses from "Sunny." Also glad to have met Ko Su-Hee who is like my lifetime mentor. Audience Question - Is this movie an original work? Also, I like how you edited the film. The way it went back and forth between the present and past. Usually flashbacks describe the past in a distinct manner, but this movie presents the past and present in a fluid narrative flow. Tell us your intentions for editing the film like that? Kang Hyung-Chul (director) - "Sunny" is an original work I created. There were several reasons for making the film. One of them is for my mom. She is a typical housewife. My mom had school days like "Sunny." Personally, I prefer criss-crossing between time rather than just a flashback. I did want to tell a story involving this technique and with the story of "Sunny" I think it came out pretty well. brindha Mar 15 2019 10:52 am this ts my last year of high school. i just have 3 more exams to get over with this movie made me cry soo much. so far one fo the best movie..
ii May 12 2018 11:07 am I love this. this movie so good. After watched this movie i miss my highschool friends and how we do crazy thing together (im still in college tho but well). I'm so happy about their friendship. I'm a little bit sad tho about the ending because i want to see them all dance together:( but anything still good. I cant say anything no more but if you guys havent watch this movie and still looking some review about this movie. Stop what you doing and just watch this movie. Sugajam Aug 21 2017 9:42 am I was crying a river and then I said "wait! What? Its already finished?Why?" Ai Aug 16 2017 9:17 am I'm into japanese movie and dramas. This movie made me drowning into korean movie and dramas haha. Bill Jul 10 2017 6:27 am Even though there is no crying scene when it's come to ending, i'm crying a river seriously. Great movie!! 짱이야!!! Army Apr 01 2017 4:23 am Arghh! This damn sad movie! I cant stop my tears! One of the best friendship theme movie Ive ever watched! Please watch it everyone! You wont regret it. kulla Feb 06 2017 8:00 pm I just watched this movie nd i feel like dnt where the f** ve i been before T-T damn me ... I fell in luv with kang sora ? Liv Oct 02 2014 12:12 am Beautiful movie, great cast, and excellent storyline. All the characters portrayed by the wonderful cast were just sensational. I loved how everything flowed from beginning to end. 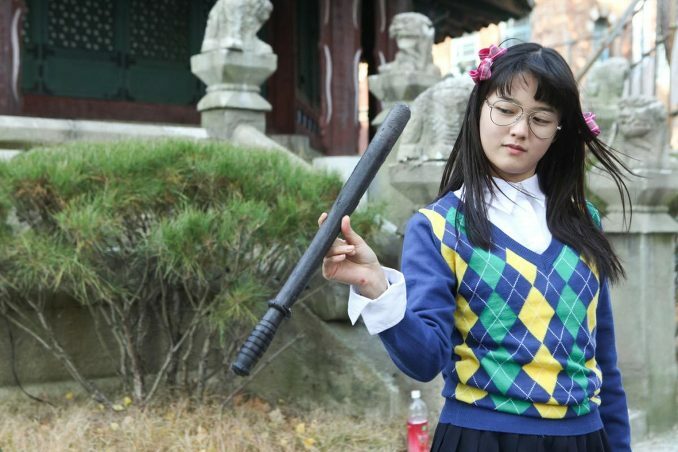 Shim Eun Kyung was quirky and cute! Her assimilation process into the group 'Sunny' was done well and it was awesome. I loved the whole heartfelt message within the movie. Honestly, I don't know how else I can express how good this movie is - you just have to watch it to know. 10/10 for me, and I don't think I've really ever ranked movies this high. I would definitely watch it again. kinoko-chan Aug 10 2014 2:22 am Beautifull movie! :'( The casting is wonderfull! Gemini Jun 05 2014 11:41 pm I've watched this movie several times and I definitely enjoy it. I've never watched with English subtitles but I always cry like a baby throughout the film. Wonderful story, wonderful actors...definitely a must see for all! chuckp Mar 01 2014 8:05 pm have watched this movie COUNTLESS TIMES! cinematography is fascinating, characters were incredible! story is fantastic! I haven't seen ANY movie in The States (U.S.A.) can compare! (And I've seen MANY, VERY MANY! my family and I LOVE this movie ! Love to ALL the cast and crew for this masterpiece! Nowhereman Sep 25 2013 10:07 pm To Mr./Ms. L. I have a regular version. And in this version at 00:28:23, I can see Chun-Hwa reading a book titled in Chinese characters. As Chinese characters don't always mean the same in different countries, I can't tell you its correct meaning. But the title consists two little characters and three large characters. The two little reads "novel", two of the three large means "hero", and the other large seems "How to." So totally, I think, the book is a novel with the title "How to be a hero." 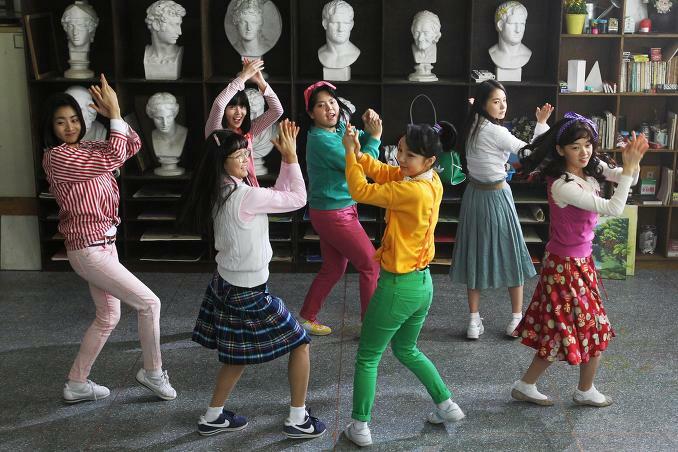 It's the scene where Sunny are in the classroom just befor going to fight with the rival girl group. My DB has a bonus track, in which I can see "unscreened scenes". I cheked them, but I couldn't find Chun-Hwa reading any books except for the book above. Nowhereman Sep 24 2013 8:03 am I love this film so much that I began the second watch just soon after the first one. I'm not a Korean, nor a female. But I'd like to say I understand how the characters in the movie feel, how happy they are, and what kind of pains they have, including the leader of rival girl group ( not to speak of Sang-Mi !). But I was a little embarassed with the scene where Ha Chun-Hwa neets Lim Na-Mi in the hospital. Why is Chun-Hwa not surprised at all to see Na-Mi for the first time in 25 years? This makes me imagine the background, which is as follows, ~~~~~ Before she meets Na-Mi, Chun-Hwa gets to know how her friends are. She wants to see them, and wants to help some in need. But she hopes the most that the friendship will be firm forever after she goes away. Thinking over, Chun-Hwa decides to appoint Na-Mi the new leader and , before the appointment, give her a mission to reunite the friends. So she chooses the hospital and asks Nami to find the friends, pretending to know nothing. The lyric of the song which Chun-Hwa sings when she sees Na-Mi seems to imply that she knows everything. Wouldn't it be possible for Chun-Hwa to design the two month business trip of Na-Mi's husband's? ~~~~~ In Korea, is ther anyone who has the same kind of idea as mine? Thank you for reading my long comment. L. Jul 21 2013 3:19 am "Sunny" was an absolute hit for me! This was my second time watching an Korean movie OR an Asian movie. Because I don't speak Korean (I'm English and watch with Eng. subs), it was very hard for me to pick up the tiniest details. I did actually find out in the Q&A that Chun-hwa read Martial Arts books. I own the director's cut. Which scenes were taken out of the regular version, but stayed in the director's cut? nini May 26 2013 10:17 am wow! just know bout this movie when watching we got married lee teuk and kang sora. watching this movie just because wanna see kang sora! seriously, she's really different! i even cry while watching. this is a very great movie! I LOVE SUNNY EVER!!!! ixtyjjang Apr 03 2013 4:30 am I just finished watching it. It was super hard to find a site to watch this, then I found one, but it loads super slow. Then finally after a long wait I've finished it already. Tiameisetia Jan 14 2013 4:24 am I will never lost this movie, it has teached me how to be good friend. Thank you for the movie. Kim Dec 17 2012 12:36 am This is one of the best movies I have watched ever. It was one roller coaster ride for me. It made me laugh yet it made me cry in the end. I did not even notice the time while watching this. It really moved me on how strong their friendship is. No matter how immature their actions were when they were young, they were able to bring their bond back after so many years. I really recommend this movie to anyone! Meegis018 Mar 26 2012 2:35 pm @ Shashe, it's Richard "Sanderson" lol try typing in Richard Anderson Reality on Youtube and you'll come up with "Sanderson" instead lols. this will make you Laugh, Cry, Be in-Love, & Inpired.. You must call your friends if you watch this film.. I love Shim Eun-Kyung & Kang So-Ra 's acting!! patrick Feb 14 2012 10:10 am What is the name of the song where the guy puts on the headphones on the girl’s ears? patrick Feb 14 2012 10:10 am What is the name of the song where the guy puts on the headphones on the girl's ears? Hemma Jan 25 2012 3:56 pm whats the song called where they dance at the end?? Meegis018 Jan 13 2012 4:24 am @ P. The song is Reality by Richard Sanderson. p Jan 12 2012 11:40 am can anybody say the name of the song Joon-Ho was listening?????? ?the song was played again when the guy and su-ji kissed?????? xm Dec 25 2011 8:54 am A great movie. An excellent resemblance to many strong friendships in reali life. Brings back much fonding reminiscents of my school days as well. A realistic and highly recommended movie indeed. A must watch for those who love to savour the myraid flavours that life brings. joyce yoon Dec 22 2011 11:41 pm Im really excited to watch this movie!! Jihye Nov 19 2011 5:55 am What a wonderful movie. I'm 38 now. The music was exactly my generation. The music brings back old memories for me. I love this movie so much as I reflect on my teenage years. go Oct 31 2011 12:42 am good movie. iLLusiOnEr Oct 22 2011 4:48 pm Wow..I'm no female nor 30s-50s but this movie greatly entertaining me. Recommended!! Nichole Aug 20 2011 5:07 am Aside from the dramatized portrayal in the movie, keep in mind the high school in this movie is of the 1980s. A lot has changed, both in Korea and anywhere else, since then. I am a Korean and watched the movie Sunny too. Like most films I think the movie was dramatized to make the story more compelling. Though I think there are various levels of bullying in South Korea like in all countries (example Columbine in the U.S.), I haven't experienced bullying or girl gangs like in the movie. That certainly doesn't mean it doesn't exist here, I just don't think its the norm. Glad to hear you enjoyed the movie! 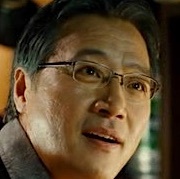 Joan Gross Aug 14 2011 6:04 pm I am 73 years old and not Korean and my friend and I enjoyed the film immensly. Our only question is: are high school in Seoul really this dangerous and with so little adult supervision? If so, I'm glad my high school days were not like this, except for the friendship. op103d940 Aug 05 2011 12:36 pm This was a great movie; I was fortunate to be able to watch it in Los Angeles. While it was a good story, there weren't as many "gut-busting" moments as they were in "Speedy Scandal," there were some great "laugh out loud" moments - even some juxtaposed with a violent scene that provided incredibly good contrast. Like "Ki" says, Na-Mi felt like she was based on a real person, the film was a "feel good" kind (my age group was probably the targeted demographic because a lot of moments were really poignant) and I was grateful that there were attendees of all types in the theatre. If you can still see it on the big screen, I recommend the film and this is one that definitely will land a spot in my collection once it becomes available for purchase. Ki May 19 2011 2:18 am Watched "Sunny" and enjoyed the movie in its entirety. No doubt the movie will resonate heavily with women in their 30's and 40's, but the movie has a lot to offer to those outside of that demographic group. 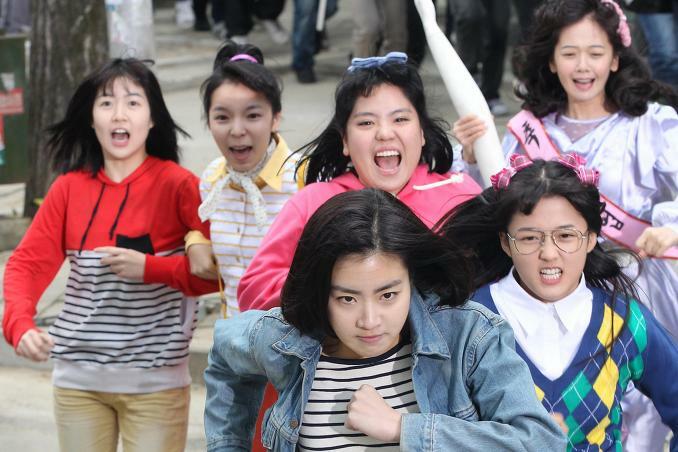 The movie is directed by Kang Hyeong-Cheol who previously directed the smash hit "Speed Scandal" and like "Speed Scandal," you'll notice "Sunny" makes heavy use of 80's music to bring out certain moods in effective ways. "Sunny" also relies a lot on flashbacks to tell the women's stories from their high school days. The way it jumps between the present day and the past is done seamlessly, working collectively to arrive at its final destination point and never feeling jarring. I was particularly impressed with Yu Ho-Jeong who played main character Na-Mi as an adult. A lot of dignity & elegance was wrapped into her performance and as a complement to that performance, I really admired Na-Mi as if she was a real person. My only complaint with the film is that the high notes during the movie came off feeling a bit flat, never eliciting the rip-roaring laugh out loud moments or unforgettable moment that you would identify with a great film. In the movie's defense, that's ok, because "Sunny" doesn't set out to be a great film, but rather a feel good film that will cross generations and reverberate with a whole lot of people and their families, friends and lovers. In that regards "Sunny" did hit a towering home run. E May 07 2011 2:07 pm What happens to Soo-Ji as an adult?? 0.0 Can't wait to see this movie!